You don't need to go far for a family vacation filled with water parks, relaxation and history -- Kingsmill Resort is rolling out the red carpet with their Ultimate Family Fun vacation package. The resort's three-night, four-day vacation package starts at $125 per person per night and includes tickets for you and your family to three key Williamsburg destinations: Busch Gardens, Water Country USA and Colonial Williamsburg. The package also includes daily breakfast, complimentary shuttle service, free parking and discounted golf. 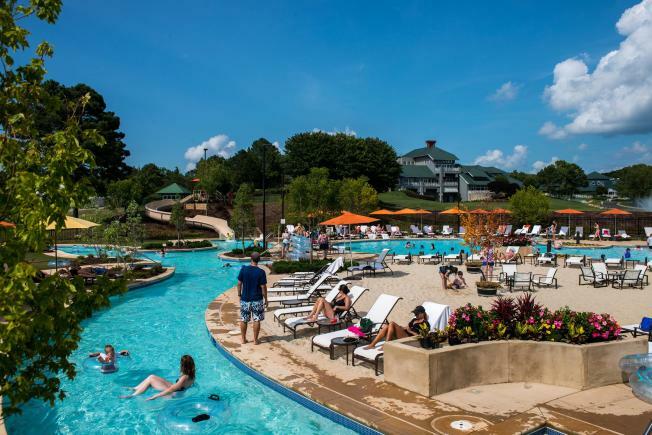 You should also know that Kingsmill's massive onsite lazy river (which is actually pretty fast) is opening May 27 -- all 250,000 gallons of it. The lazy river, which whisks guests along at up to 5 mph, surrounds the resort's outdoor pool -- and because Kingsmill is on the banks of the James River, you may see Navy ships sitting idle just beyond your deck, a unique feature of the location. Inside the resort, you'll find an indoor pool that's always a balmy 85 degrees and a sports club fit for an athlete. Other highlights include the Kingsmill Spa, with 50 services covering head to toe. The Ultimate Family Fun Vacation package is available most days May 27 thorough Sept. 5. Kingsmill Resort is located at 1010 Kingsmill Road, Williamsburg, Virginia, about three and a half hours from downtown D.C.